Now that we’ve all had a month to recover from the holiday cheer, it’s time to get down to business. In a previous blog, we introduced our 12 Moment Marketing New Year’s Resolutions, where we dedicated twelve days to delivering tips to email marketers who want to capitalize on moment marketing opportunities in 2015. 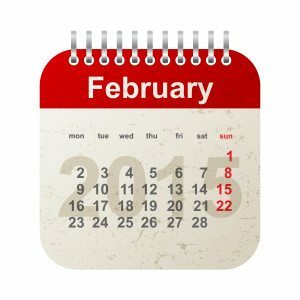 This time around, we’re dedicating the month of February to you, the email marketers who plan to push the envelope on their email programs in 2015. As you might imagine, email is top of mind here at SendGrid. We have teams dedicated to improving every element of this space, and we want to share our wealth of best practices! We hosted a panel on the future of user app experience during our Email Matters event last December and were joined by a few great customers, including Pandora, GitHub, Glassdoor, and Pinterest. Each of our panelists offered up valuable insights based on their experiences in the industry–the good, the bad, the trials, and the triumphs. Throughout the month, we’ll be passing on those insights to you! Keep an eye out for our email #tuesdaytips by following us on Twitter, Facebook, Google+, and LinkedIn. Now, let’s talk about dedication. How does devoting four entire days to advancing your email campaigns and career sound? From February 23rd to 26th, MarketingSherpa will be hosting the Email Summit 2015 in Las Vegas, and we’ll be at the show demoing some of our latest initiatives. We’ll also be offering one on one coaching clinics and hosting roundtable discussions to discuss some common email pitfalls. If you’ll be in attendance, be sure to stop by the SendGrid booth–we’ll listen to your email woes, coach you through tough deliverability issues, or just enjoy saying hi! Although we’re always dedicated to providing resources to those who believe email matters, we’re going the extra mile for our customers in 2015. User experience is everything, and it is a piece of the pie that we’ve been working tirelessly on. We recently released the SendGrid App for iPhone and iPad, because we know how important analytics are, and we want our users equipped with the tools they need to be successful. Stay tuned for more updates, and we hope you’re as excited as we are! If your email program is a priority for your brand in 2015, we challenge you to make the most of February by taking advantage of the resources available to you. Happy emailing!